Don’t miss any of our Instagram for Business blog series (new posts each week this month). Sign up today to receive email updates for the SocialNicole blog. You’ve taken the plunge – spent the time and energy to set up an Instagram account for your business. But maybe your business’s Instagram page is staying more quiet than you’d like. Every Instagram account has been there at some point – and there’s no need to lose hope! If you’re frustrated with a low follower count, or just looking for ways to grow your Instagram following, we’ve got some tips for you! There are many simple and practical steps you can take to grow your Instagram following organically, starting with creating the most quality Instagram content possible for your business. 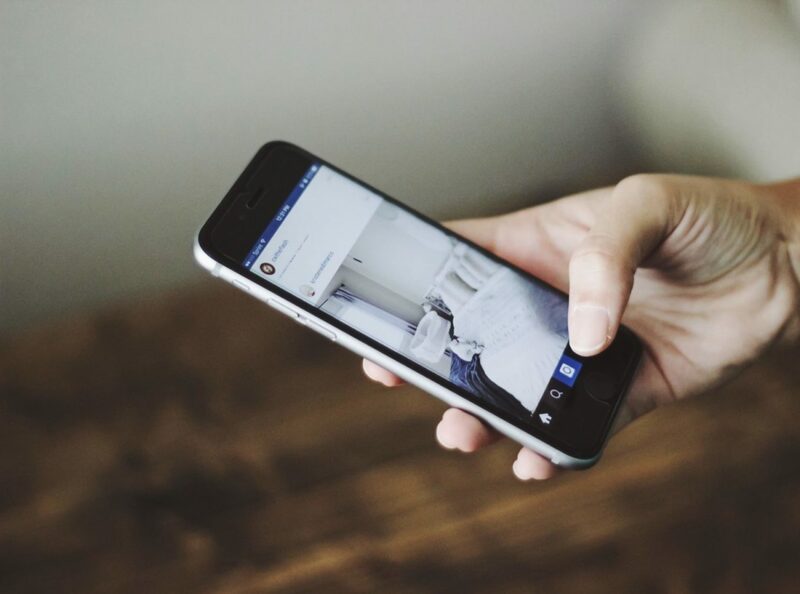 By using hashtags and locations tags, engaging with your existing followers and soon-to-be followers in your niche, and collaborating with other Instagram accounts, you’ll help to put your brand name on more screens, resulting in a growing audience. You can also use your business’s accounts on other social media platforms to promote your Instagram account. Growing your business’s Instagram following doesn’t have to be a chore, and can in fact be fun! We’ve listed ways to overcome the obstacle of increasing your following on Instagram below… keep reading and watch that follower count go up! When a potential follower finds your account on Instagram, the first thing they will notice is the way your page looks. This includes everything from the photos you’ve shared to your bio and the clarity and simplicity of your Instagram handle. Everything on your instagram page should tell potential followers about you in a straightforward and concise way. For example your account handle should be simple and searchable. Your Instagram account page should have the name and location of your business clearly listed, along with a bio that states what your business is about. People will be much more likely to follow an account that states what they are about. In addition, posting quality content on your business’s Instagram account is crucial to growing your following. This may seem like a no-brainer, but we cannot stress this one enough. People want to follow accounts that post nice, clear images that are not blurry, and are eye-catching and visually appealing. It is helpful to have a theme, even if it’s only a color scheme that makes your feed look cohesive. Your instagram should be an extension of your brand, so you want to keep this in mind when you are posting to your account. Posting quality content goes beyond just the images and videos you choose to share. It extends to your captions as well. Make sure the captions on your posts are spelled correctly and use proper grammar and punctuation. The captions also need to make sense and be relevant to the photo being shared. We also recommend you vary the length of your captions from post to post and include calls-to-action with your captions. Call to actions will give your followers a reason to engage with you beyond just liking your post. Your call to action can direct people to the link in your bio (generally to your website, or a page on your website). We talk a lot about engagement on social media platforms, and that is because it is so important that we stress it almost every time we talk about social media marketing. Your followers make up your brand’s community. By inviting them to like your account and asking them to engage with you, you are entering into a relationship with each of them as individuals. These relationships are important to you as a business and need to be taken seriously. A good way to prove to potential followers that your brand has a flourishing community is to stay on top of interacting with the followers you already do have and replying to their comments, answering their questions, and showing them you care. When trying to grow your Instagram audience, it is essential that you go a step beyond engaging within your Instagram community (people following and engaging with you) and take steps to engage with other accounts, too. One helpful tip is to engage with accounts and posts that are within your niche. The individuals who follow accounts that are like yours are most likely going to be interested in the kind of content you’re sharing, too. If they see you commenting on a post, it may entice them to click on your Instagram account handle, which will lead them to your page and then your star-quality Instagram page may just convince them to follow you! Grow your community by interacting with potential community members – don’t always wait for them to come to you. Show people that you are interested in them, and that you think your business has something they may be interested in. Social media is a two way street, and you don’t have anything to lose by putting yourself out there and engaging with people that don’t yet follow your account or know your brand. You can find users who will be interested in the kind of content your business shares by searching hashtags within your niche. You can simply search relevant hashtags, and then like and comment on the posts you find. This will help get your name on the screens of people who will likely be interested in your business. You can also follow people that use these hashtags, and they may be likely to follow you back! Liking, commenting, and following – engaging with people within your niche – can help build your community. Talking about interacting on Instagram leads us to our next point – collaboration, which is another type of interaction, after all. Collaborating with other businesses and/or influencers (people who are niched and have large followings) on Instagram can be huge in helping to grow your audience and following, especially if you can get a collaboration with a bigger account than your own. However, collaboration with any account can be helpful in getting your brand name on the screen of more people who may have never had the chance to find you if you hadn’t collaborated with a brand they follow. Collaborations can be fun, and there are multiple ways you can do so. Hosting an Instagram contest with another brand is one way to do it. For example, both your business and your collaborator will post the contest, and one of the ways to enter can be to follow the other account. You can also give a shout-out to another business’s account in a post or on your Instagram story, and have them do the same for you. If both businesses are in the same area, you can even meet up face-to-face and then create a fun post together. Get creative in your collaborations, and you can make friends not only with the brand you’re collaborating with, but with their community as well! Hashtags are wildly popular on Instagram, and when used effectively they can be one of the best ways to grow your instagram following. Unlike Twitter, the Instagram hashtag etiquette rule of thumb is the more the merrier! There is nothing wrong with bulking up your posts with a big block of hashtags (up to the 30 hashtag limit) at the bottom (after all the text and the call-to-action), and let them work their magic. You can also post your hashtags in a separate comment after the caption, if you don’t want to lengthen your captions with multiple hashtags. It is important to note that you want to make sure your hashtags are relevant to the post, so users searching hashtags will find the kind of content they were looking for when they come across your post. This will make them more likely to be interested in following your account. We also recommend creating your own hashtags for your business. This can be a fun and effective way to spread the word about your brand. Invite your audience to use the hashtag in their own posts, which will make it easy for anyone to find all the posts on Instagram mentioning your businesses. Hashtags are not the only important tags on instagram. You can tag the location of your posts and add your location to Instagram stories. When you tag a location on your post, your post will show up when users search that location. When you tag a location in your story, that story then shows up on the tagged location’s story, and you can get extra views that way as well. You should also tag other accounts in your posts and stories – whether it is to identify a person or product in the post, or simply to give a shout-out. Our last tip for building your Instagram audience is to use the audience you already have on other platforms. If you have a few thousand followers on Facebook but only 200 on Instagram, you should promote your Instagram on your Facebook page to direct those followers to follow you on Instagram as well! They are already a part of your brand’s community – why not have them be a part of your community on every channel? You can create Facebook posts that say something like “Are you on Instagram? 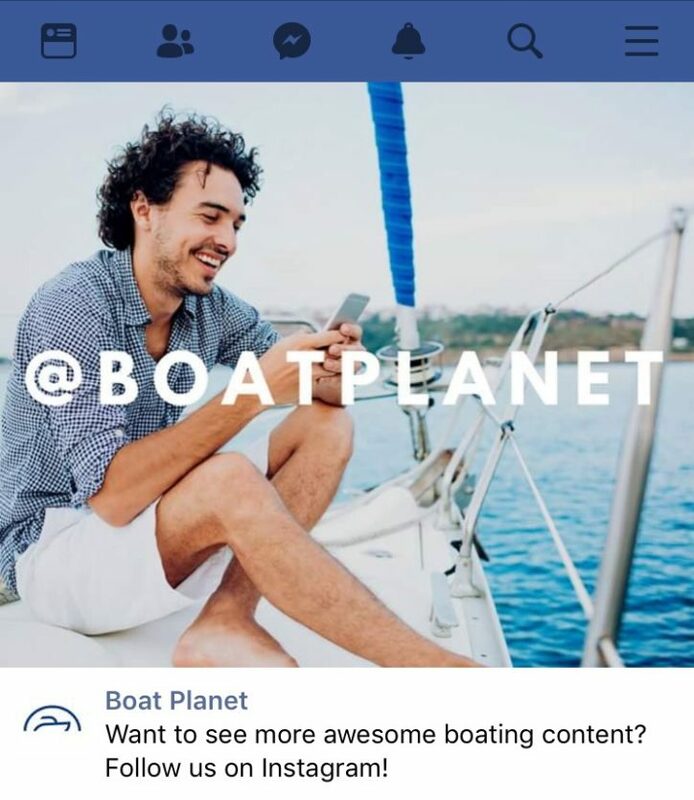 So are we!” and add a call to action with a link and a photo from your Instagram account to lead your Facebook followers to your Instagram account. 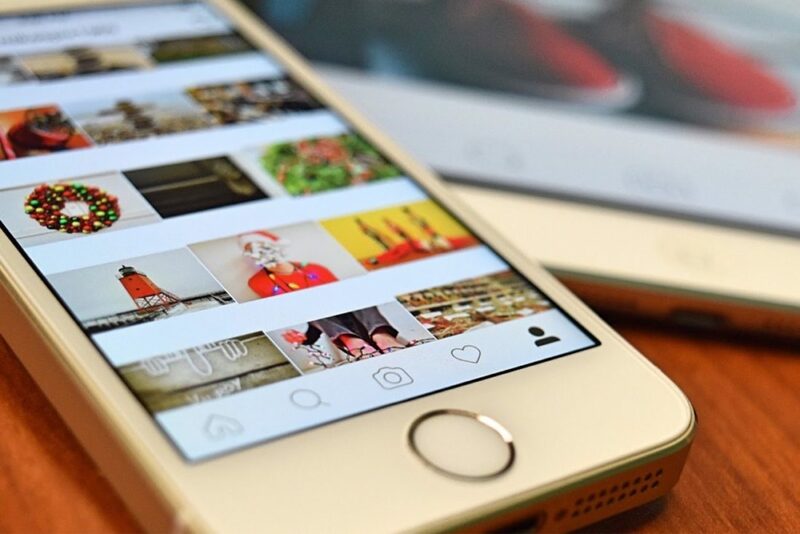 We hope these tips are helpful to your business as you grow your Instagram audience. Having a clear, quality Instagram profile and feed, engaging with your audience, collaborating with accounts in your niche, using hashtags and location tags, and promoting your own Instagram page on your other social media channels are all ways to jump-start your journey in growing your Instagram following. It can be a long process, but it is exciting to watch your number of followers go up and to watch your brand’s Instagram community grow and thrive. If you need any Instagram help or have any other social media questions, sign up for our free updates and feel free to contact us with questions so we can help you!